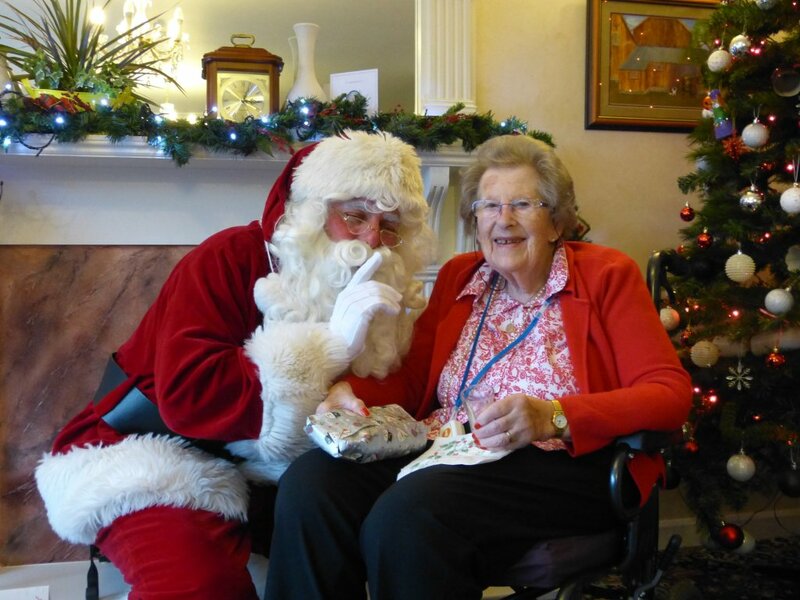 Residents at Crantock Lodge care home got an early surprise this Christmas, when Santa decided to pay a visit to their Christmas party! Festivities were in full swing, with family, friends and staff invited to share high tea with the residents, when santa arrived to hand out presents to the residents. The residential home in Porth, Newquay, is home to just eleven private residents, and prides itself on providing top notch care. 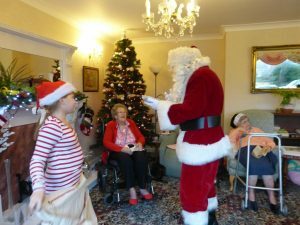 Owner Peter Shaw said: “It’s not just children who enjoy seeing Father Christmas – our residents like to have fun and be entertained too! “At Crantock Lodge there is a programme of activities throughout the year and especially at Christmas. We’ve had a show by Tickled Pink, a sing-a-long with duet Tula Rosa, craft making, carol singing and a nativity play by a local school, as well as the obligatory Christmas dinner of course!